The Genealogists Internet is a practical guide that identifies the major websites and online sources of data available to family historians. It is ideal for both beginners and more experienced researchers as it explores the most useful sources and helps readers to navigate each one. The Genealogists Internet features fully updated URLs and all of the recent developments in online genealogy. Now is its fifth edition, The Genealogists Internet is endorsed by the National Archives and is the comprehensive guide for anyone researching their family history online. practical guide identifies the major websites and online sources of data available to family historians. It is ideal for both beginners and more experienced researchers as it explores the most useful sources and helps readers to navigate each one. 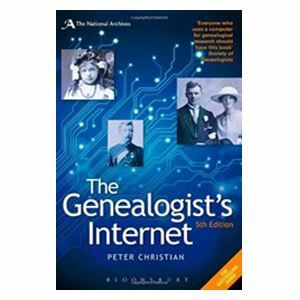 The Genealogist's Internet features fully updated URLs and all of the recent developments in online genealogy.This fully updated fifth edition, endorsed by the National Archives, is the comprehensive guide for anyone researching their family history online.